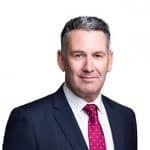 Richard Bradshaw is widely regarded as one of Australia’s leading practitioners in the area of Aboriginal land rights.Starting his working life as a commercial lawyer, Richard initially practised in England and Wales. He migrated to Australia in 1978 and, after 3 years practising commercial law in Sydney, he was appointed a Senior Legal Officer (and subsequently the Principal Legal Officer) of the Pitjantjatjara Council based in Alice Springs. There he used his considerable skills to advise the Council on land, mining, commercial and other legal issues.Richard joined Johnston Withers in 1990 and became a Director of the firm in 1996, bringing with him his expertise Aboriginal land rights and native title, defamation and commercial law. advising on laws for the protection of Aboriginal heritage. 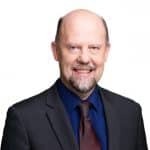 Richard has been a member of the Law Society of South Australia’s Aboriginal Issues Committee since its inception in 1997 and has authored and presented many papers on land rights and native title. Richard’s other primary area of practice is defamation law. He was involved in the landmark Chakravarti High Court decision which resulted in Johnston Withers’ client being awarded what was at the time the state’s highest defamation payout. He has represented a number of high profile clients (including South Australia’s then Premier, Mike Rann) in their defamation actions. Richard also practises in commercial law matters generally.